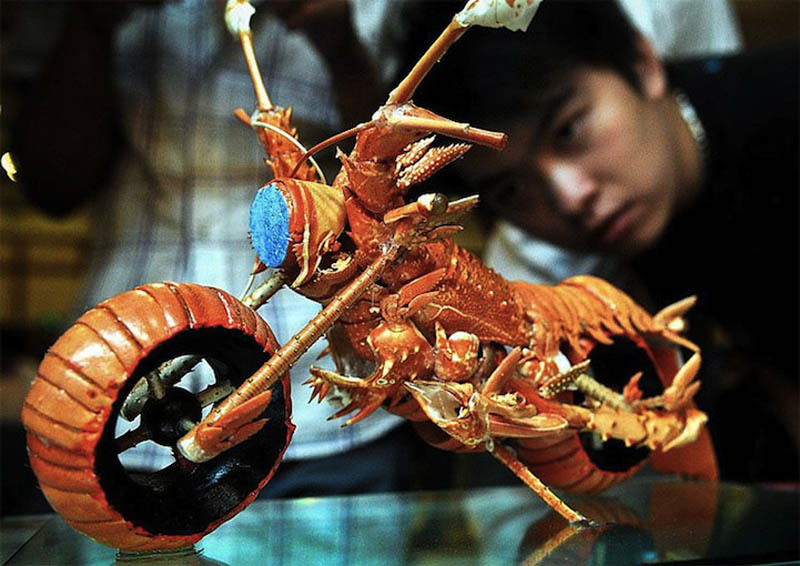 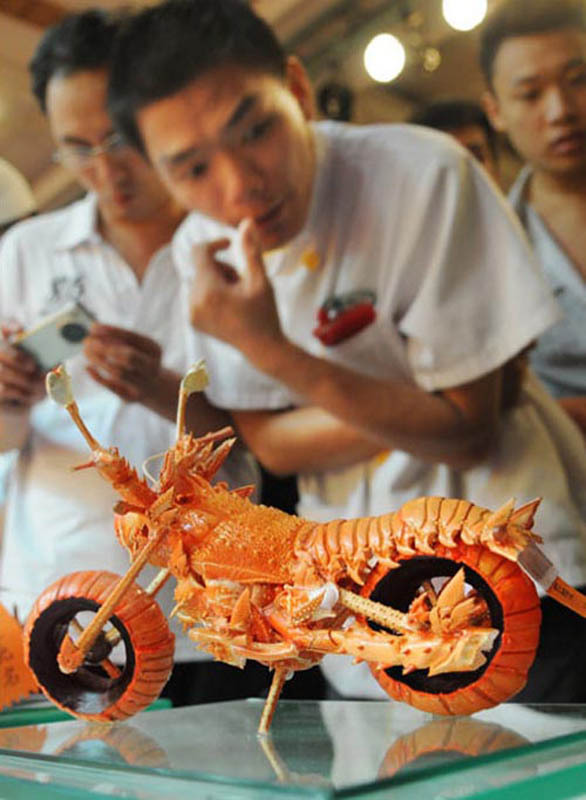 Taiwanese chef and carving extraordinaire Huang Mingbo has created some incredible miniature model motorcycles made of lobster shells! 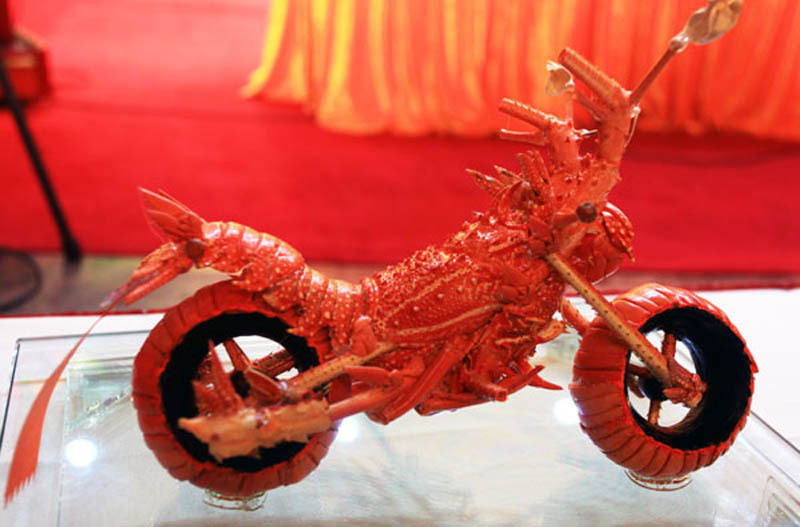 Wonderfully creative and highly detailed, who looks at a lobster shell and thinks, “This is perfect for a motorcycle,” ? 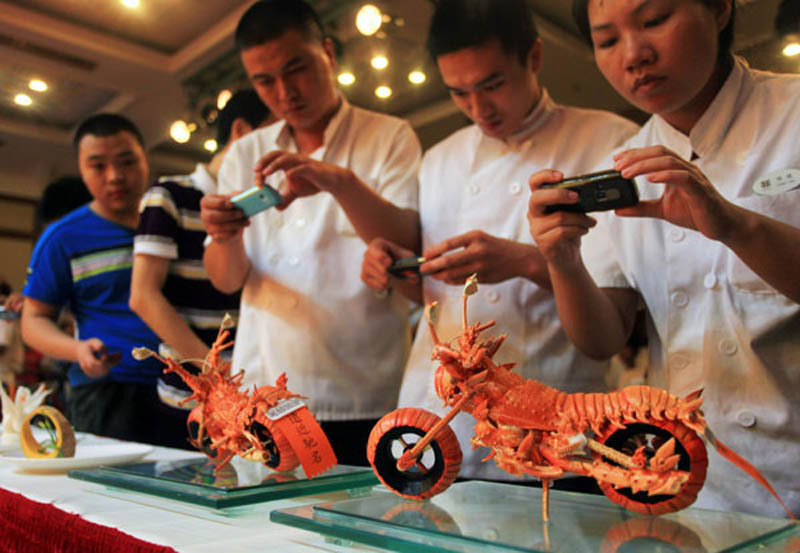 Hats off to you Mr. Mingbo, the Sifter salutes your amazing creativity.